We are here to help you see a difference! 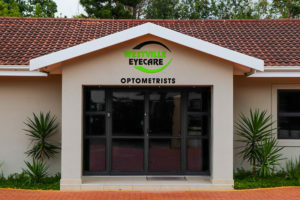 Westville Eyecare Optometrists, previously known as “Farzana Assamo Optometrists”, is conveniently situated at 29 Wandsbeck Road, Westville, right across from the Westville Boys High School. 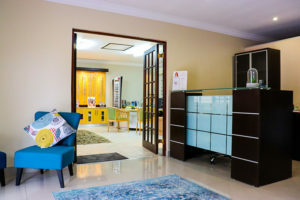 The resident optometrist and owner is Farzana Assamo, whose focus is to provide a personalized eyecare experience while striving for service excellence. We keep a wide selection of of both contemporary and designer frames, which are all covered by our exciting Breakage Cover, for your peace of mind. Expect to be consulted in a modern, secure and tranquil setting, with ample parking right on our doorstep. 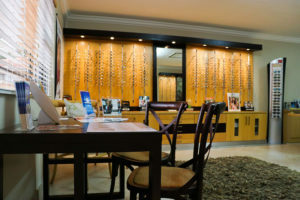 With over 10 years of providing service in the Westville Central area, Westville Eyecare Optometrists is the longest established independent optometrist in the vicinity. 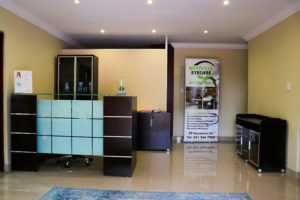 reception inside the Westville eyecare store. Outside the Westville eyecare store. 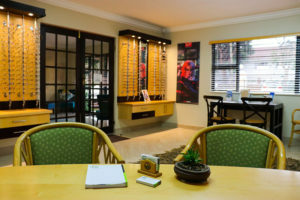 Reception area inside the Westville eyecare store. Glasses display inside the Westville eyecare store. 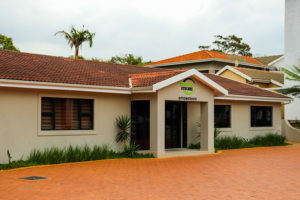 Front view Westville eyecare store. 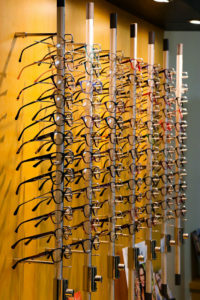 Westville Eyecare provides quality eye care services. Subscribe to our newsletter and be the first to know about our latest news and promotions.